With the highest amplitude of the market, 3D stylus allows you to mark the impossible! Uneven flatness: on a single part or a series of parts, the stylus fits! 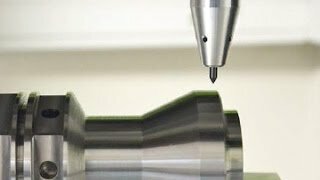 Fitted with the 3D stylus, the machine performs a succession of markings regardless of the shape of the parts or levels differences. No setting required! The 3D stylus facilitates the marking by adapting to the shape of each part: the tip extends or retracts automatically when in contact with the surface being marked. Available for the entire range of pneumatic machines, the 3D stylus provides the marking of very high-quality Datamatrix codes.